A dairy farm in Rhode Island has been named the state's outstanding dairy farm of the year. The state Department of Environmental Management says Breene Hollow Farm in West Greenwich was chosen by the Rhode Island Green Pastures Committee for its commitment to dairy farming and the community. Democratic Gov. Gina Raimondo says it's important to recognize farmers' contributions to the food supply, economy and their families and communities. 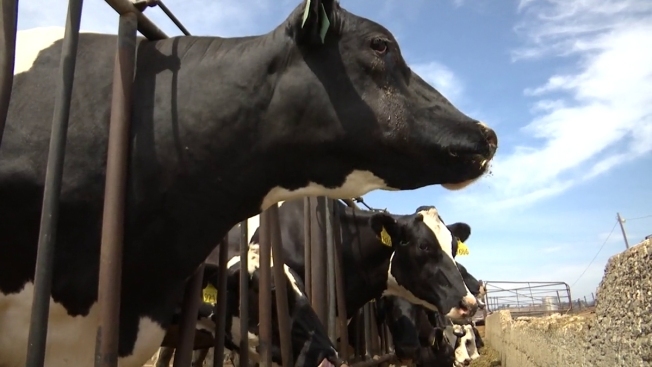 The agency says Kevin Breene established the farm with 20 cows at his parents' home in 1977 after he graduated from the University of Connecticut. He still runs the farm. His daughter and son-in-law oversee the milking operation. Several abutting properties have been purchased, bringing the farm to 360 acres. Winning dairy farmers from New England will be honored Sept. 14 in Massachusetts.